I became interested in paleontology after participating in an "after school science" program in second grade. The volunteer teacher had a Master's in paleontology and she made the program SO fun and exciting. I was hooked right away! My research interests center upon the weathering and preservation (taphonomy) of avian bones. I do what's called "actualistic taphonomy," where dead modern organisms are put out in various environments and I document the degradation and weathering processes, and then make comparisons to the fossil record. 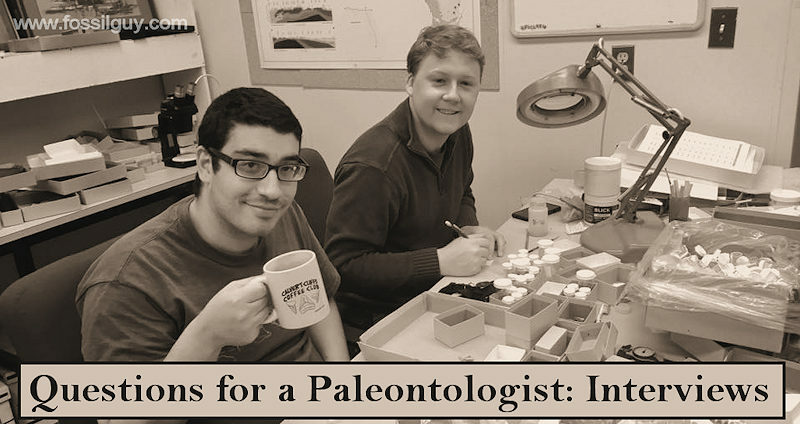 Paleontologists can work in a variety of different positions and careers. Previously, I taught geology courses as a junior faculty member at a small rural university in Tennessee. 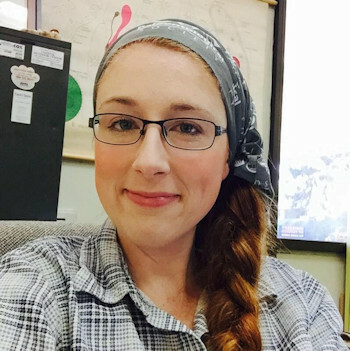 Now I work as the coordinator of The FOSSIL Project, which is a program funded by the National Science Foundation, and I am responsible for facilitating networking between professional and amateur paleontologists across the United States. My favorite field experience was working at a Pleistocene site in the Bahamas. Bird fossils + gorgeous Caribbean scenery = awesome! Don't be afraid to fail - whether in school or later, while doing research, don't give up! It took me 7 years to get my first academic paper published, but I kept trying until it was accepted! 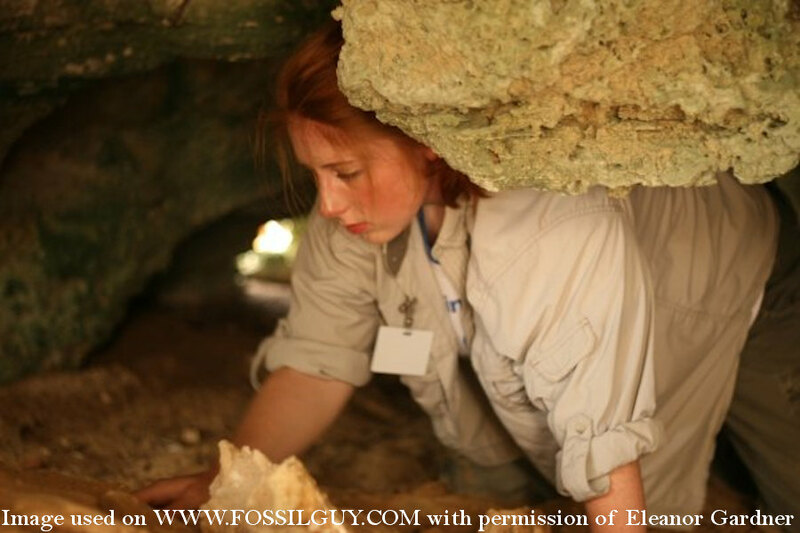 Eleanor Gardner working a Pleistocene site in the Bahamas. 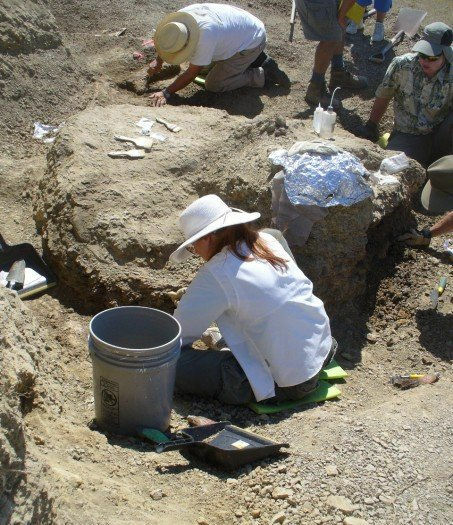 Eleanor Gardner excavating a Triceratops! Be sure to check out the Fossil Project - It's a great Avocational site!